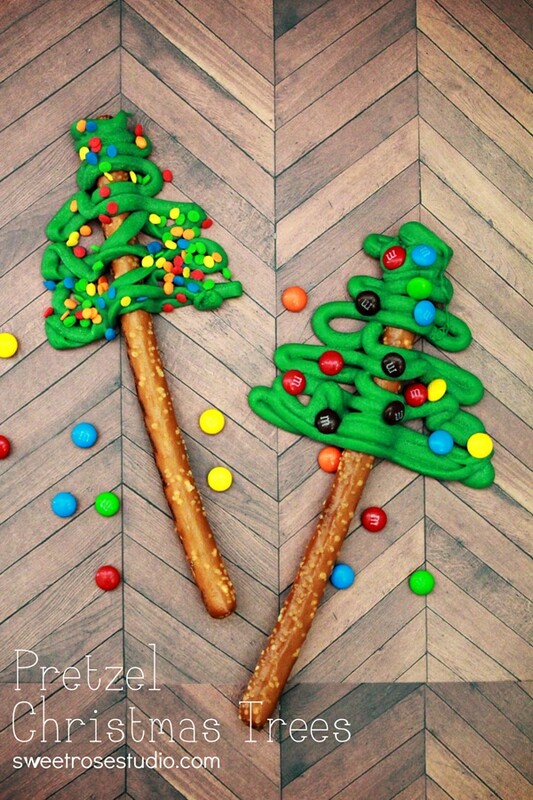 The holiday season is all about family and giving and sharing and of course making easy Christmas treats! 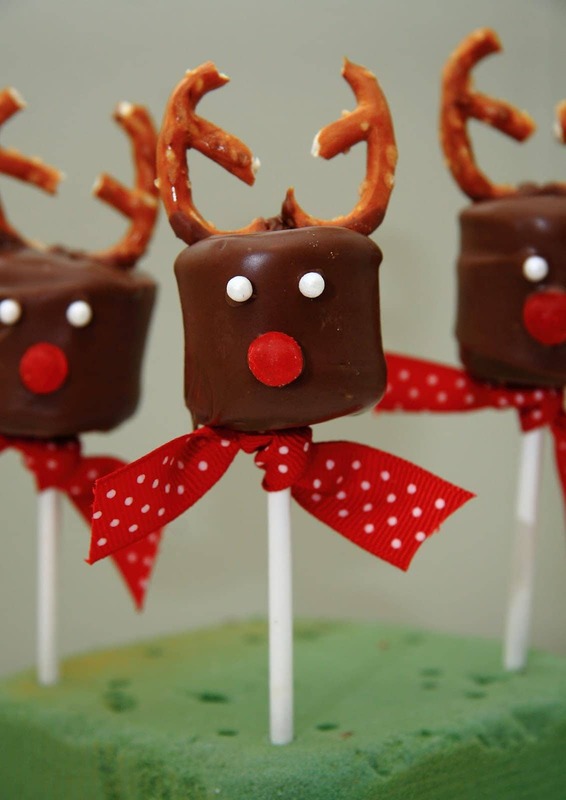 This is the weekend I’m planning on spending baking and making all kinds of holiday treats with my family. 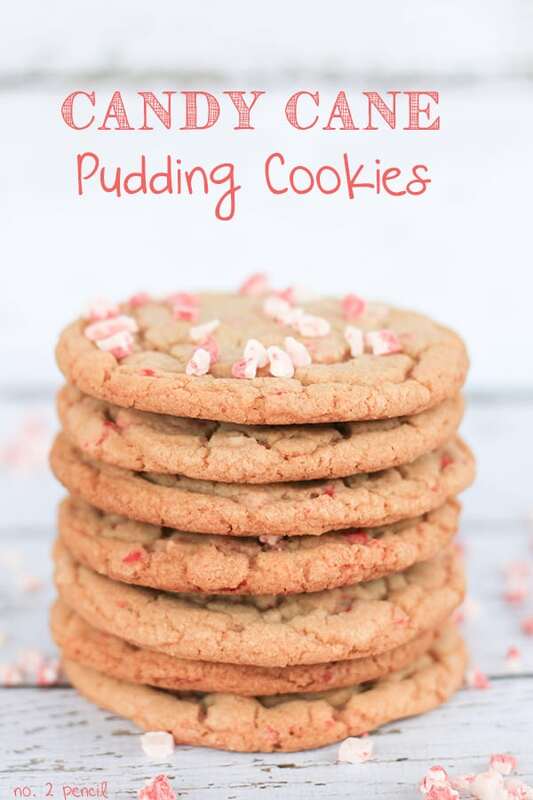 I am so glad I have Pinterest to help my search and find all of these great blogs that share their fabulous holiday treats! 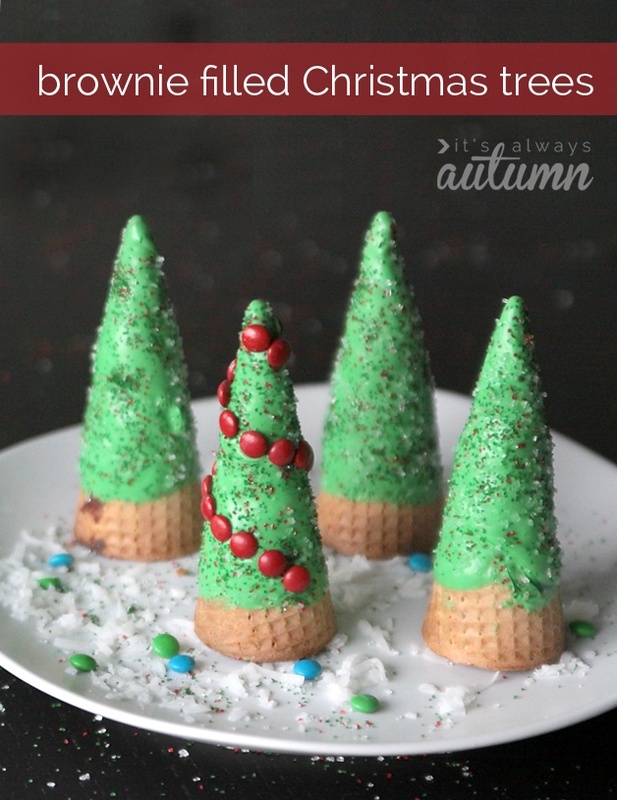 You’ll find all of these fabulous treats on my Christmas Sweets & Treats Board, and I’ll be spending a lot of time this weekend pinning more great stuff! 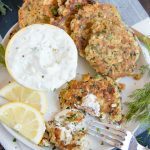 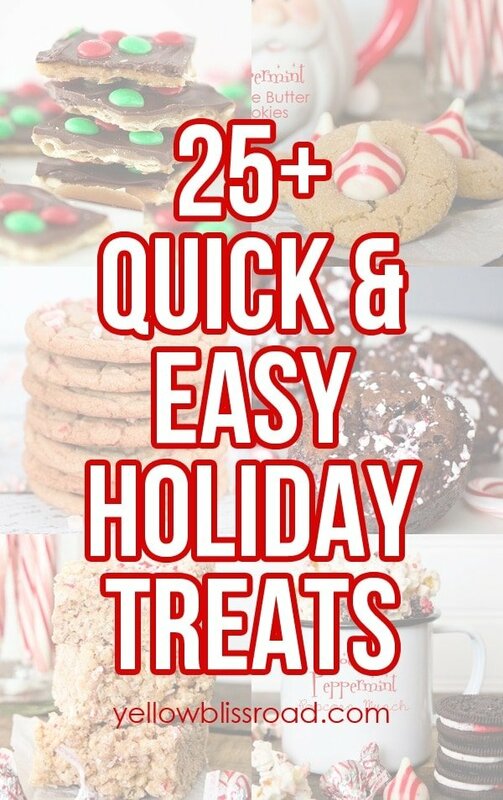 I’ve rounded up more than 25 of my very favorite quick and easy holiday treats, and I thought you might like to have them all in one place too! 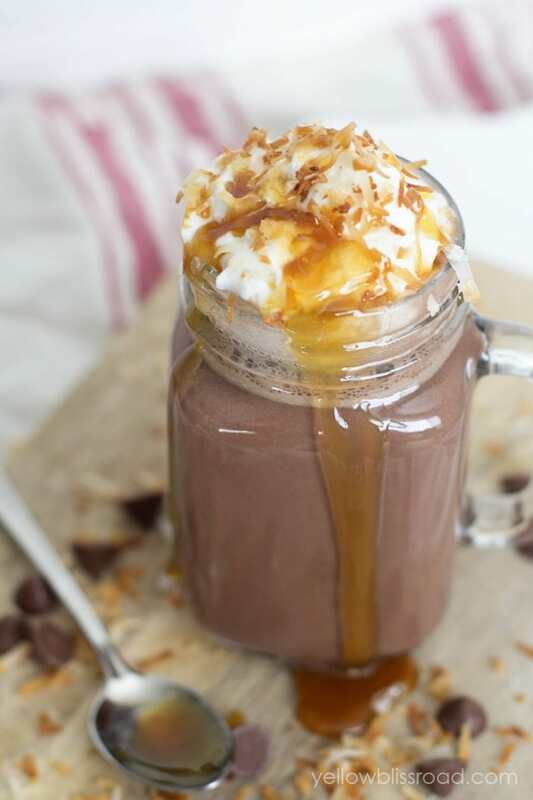 Caramel Coconut Hot Chocolate – Milk chocolate melted into warm coconut milk with a drizzle of caramel. 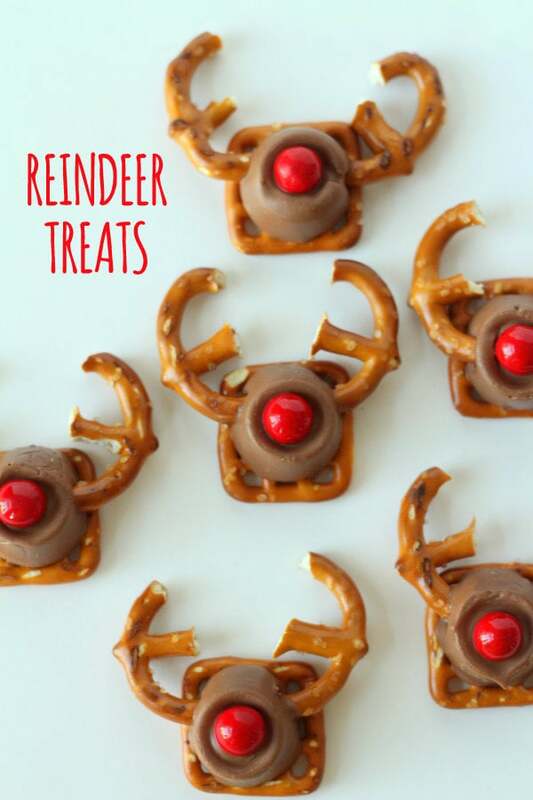 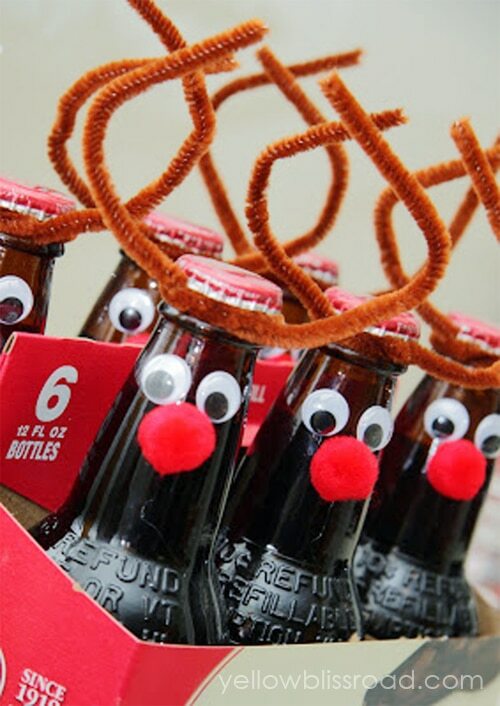 Reindeer Treats – super adorable and so easy to make! 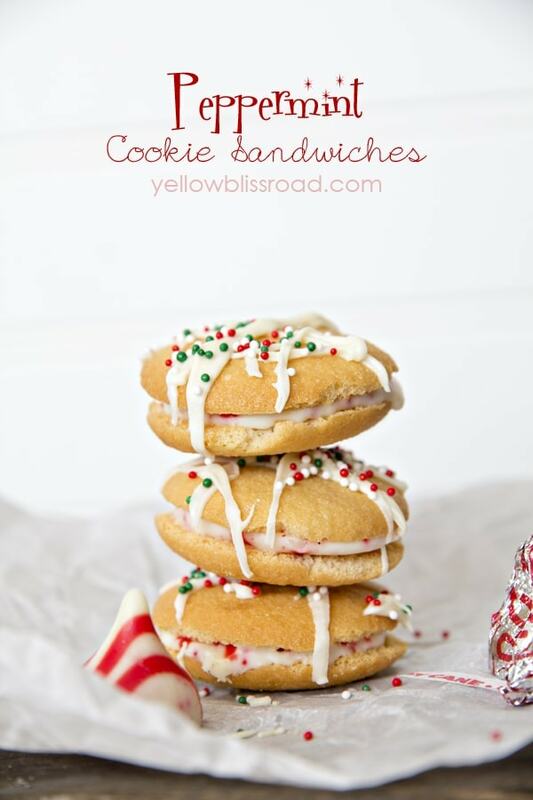 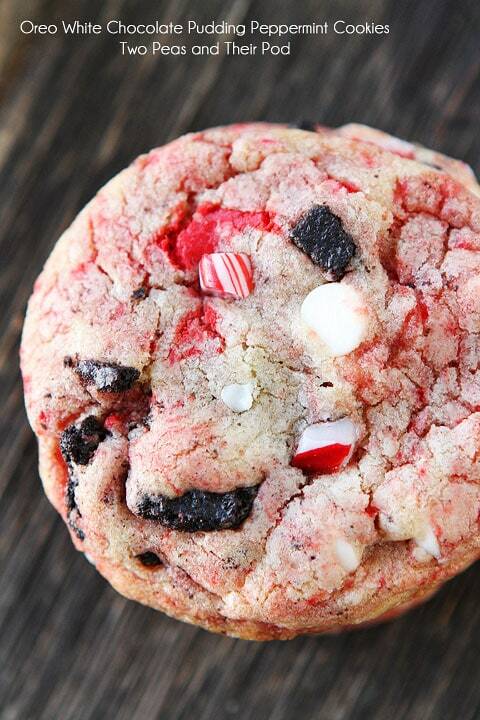 Peppermint Cookie Sandwiches – Such an easy Christmas treat with just 2 ingredients (plus sprinkles)! 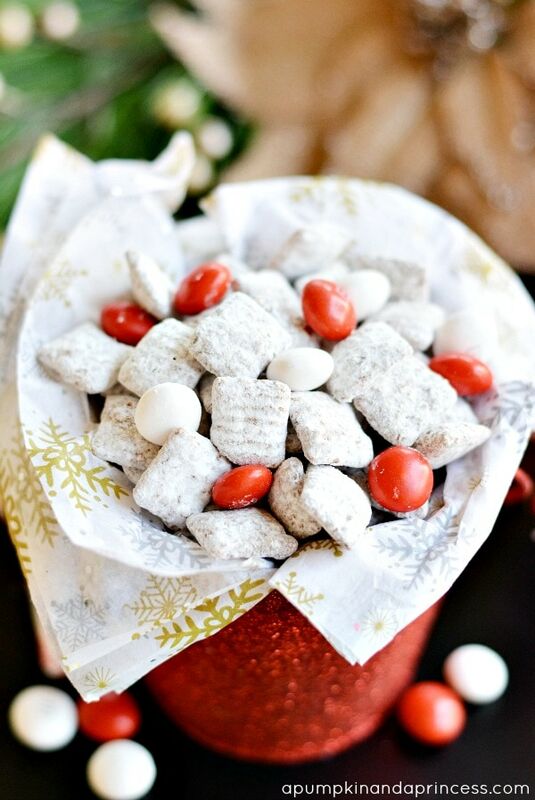 Reindeer Chow – Muddy Buddies with Christmas M&Ms sprinkled throughout. 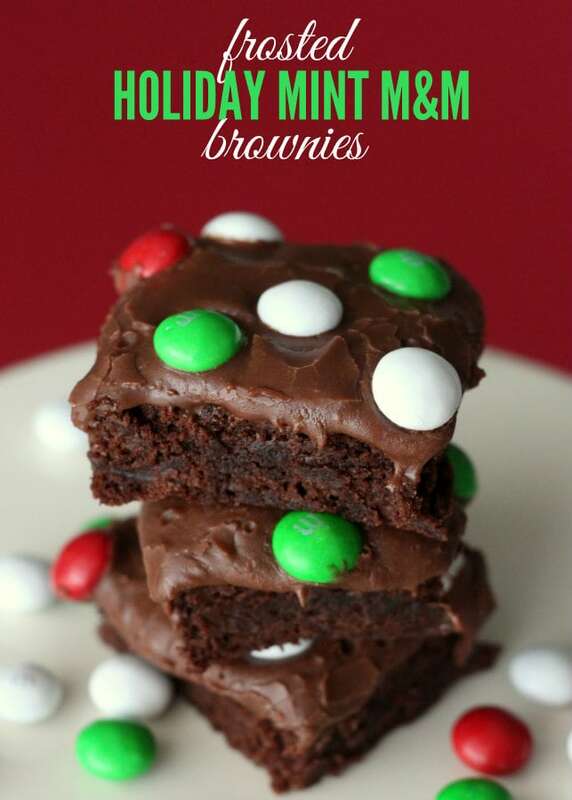 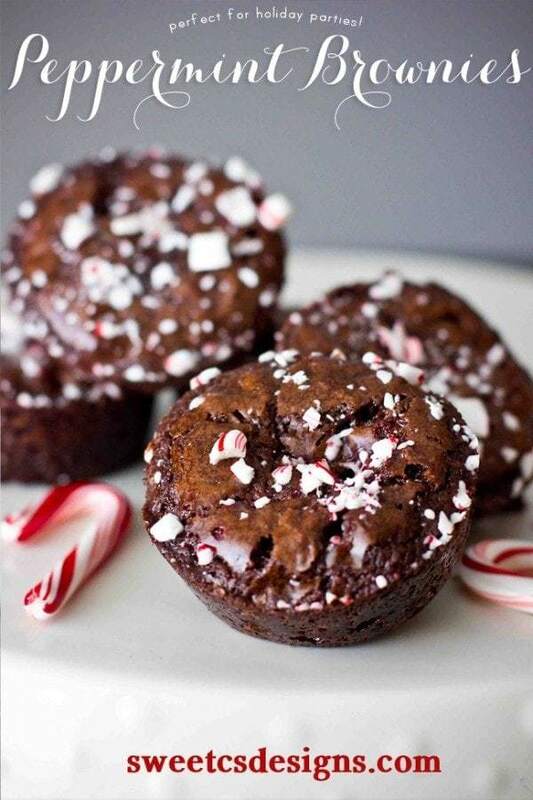 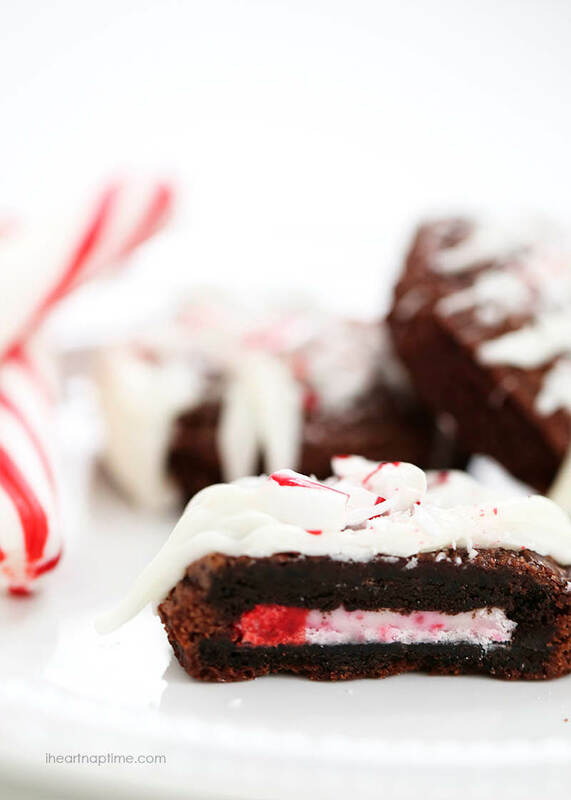 Frosted Holiday M n M Brownies – Fudgy, rich brownies with a delicious peppermint frosting! 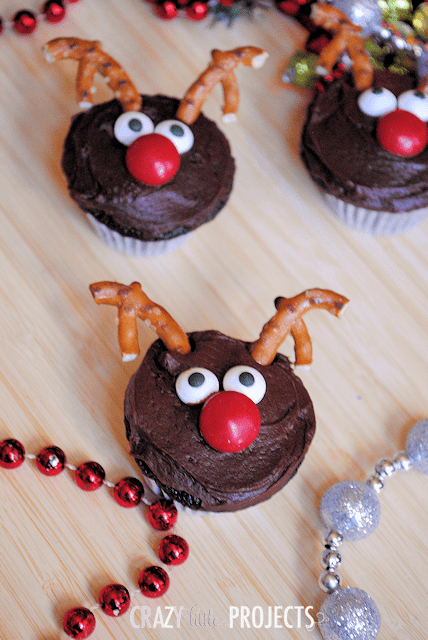 Reindeer Cupcakes – How cute are these cupcakes?? 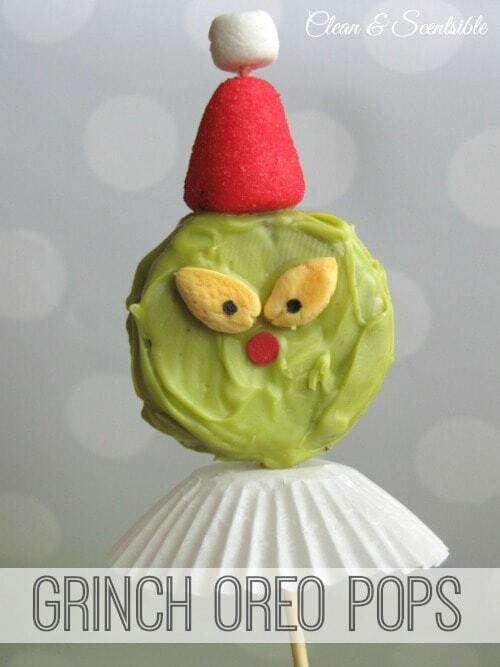 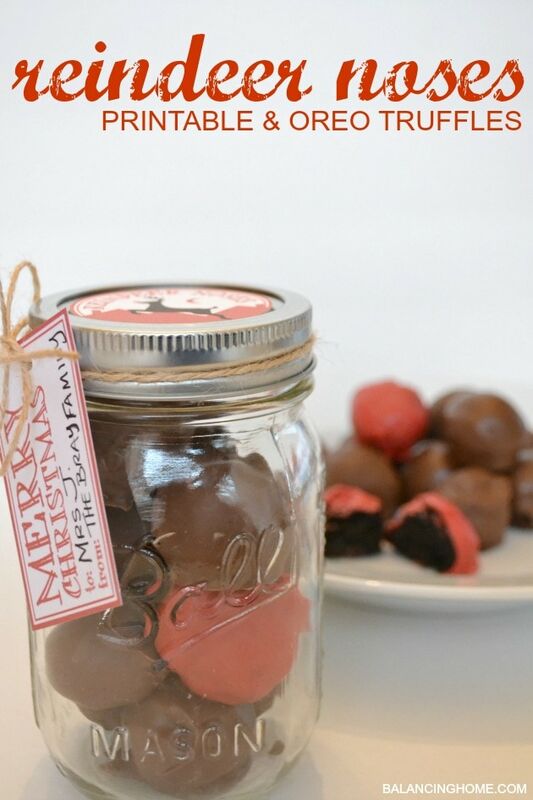 This one is more of a gift idea, but still a fun treat! 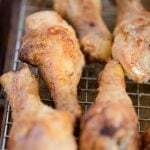 Have you started (or finished??) 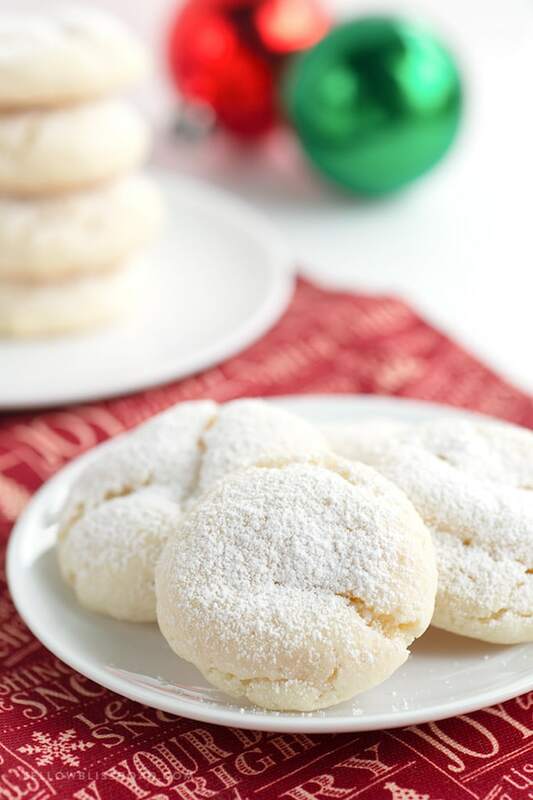 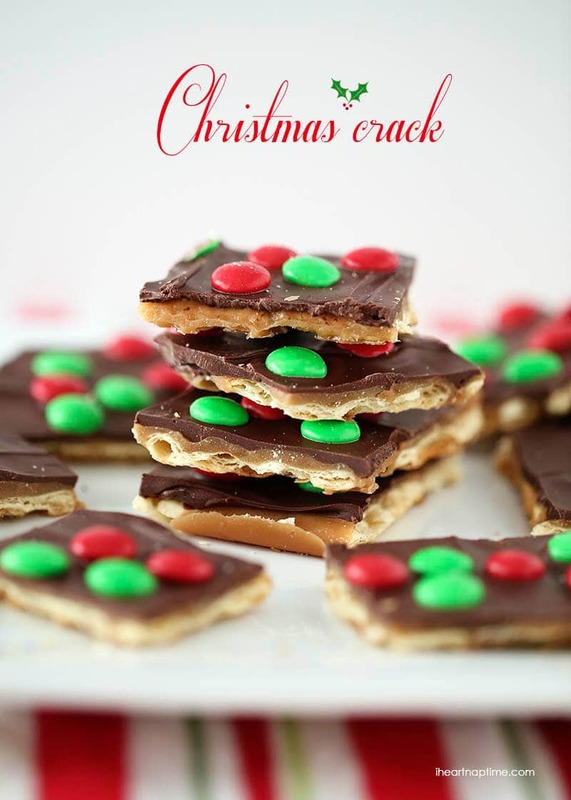 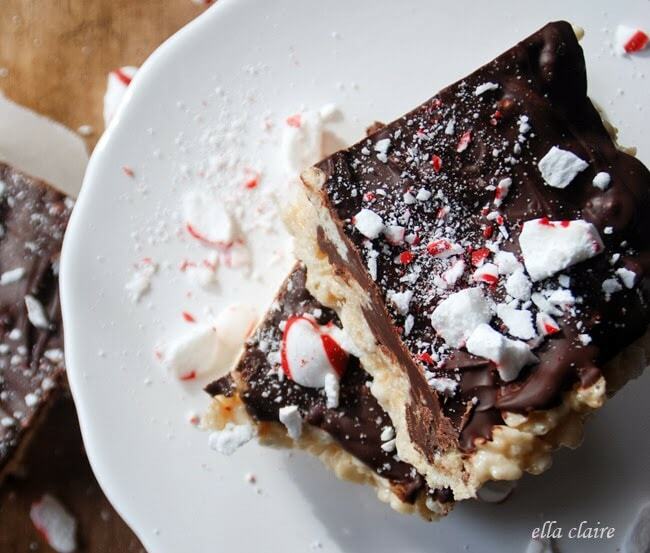 your holiday baking and treat making? 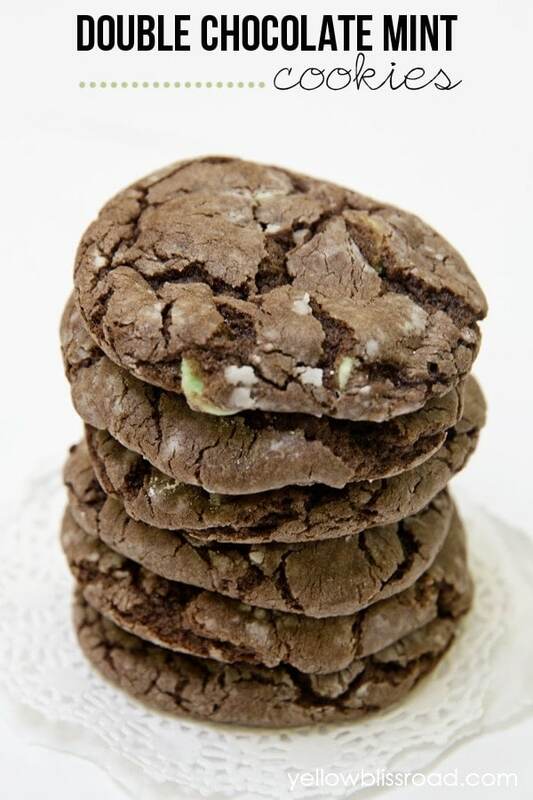 Why all the mint ? 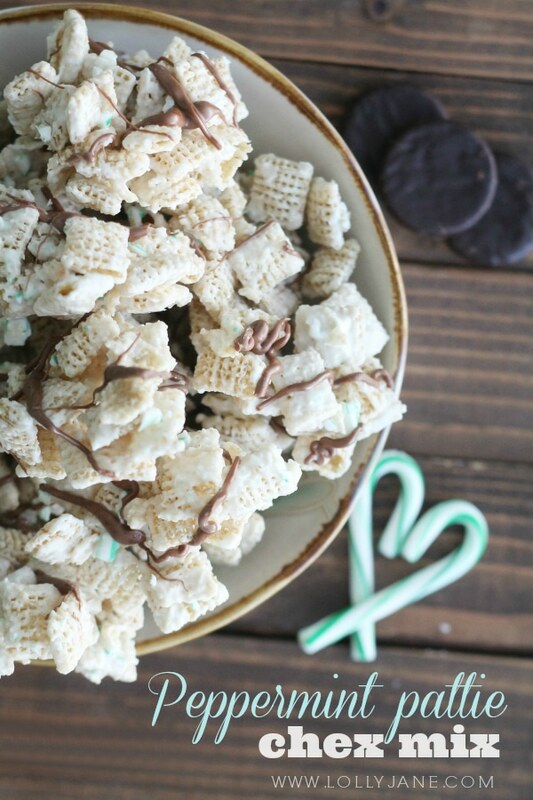 I like mint but not THAT much . 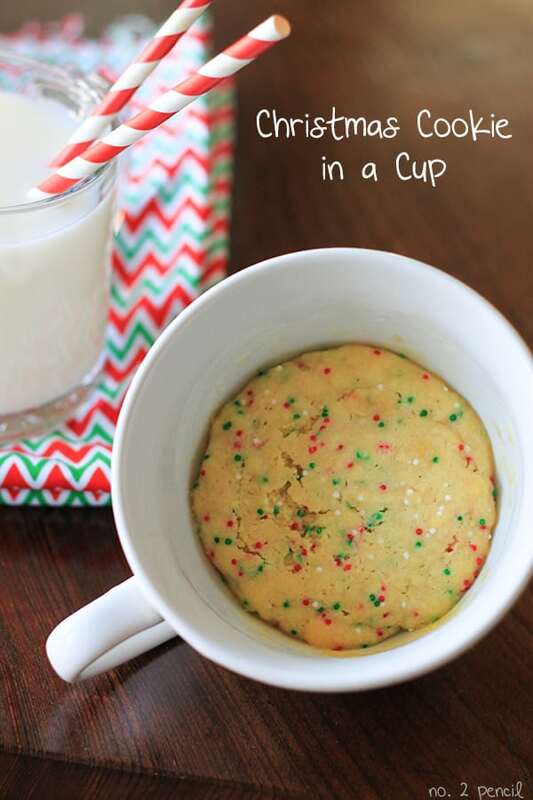 Is there something else I could substitute instead. 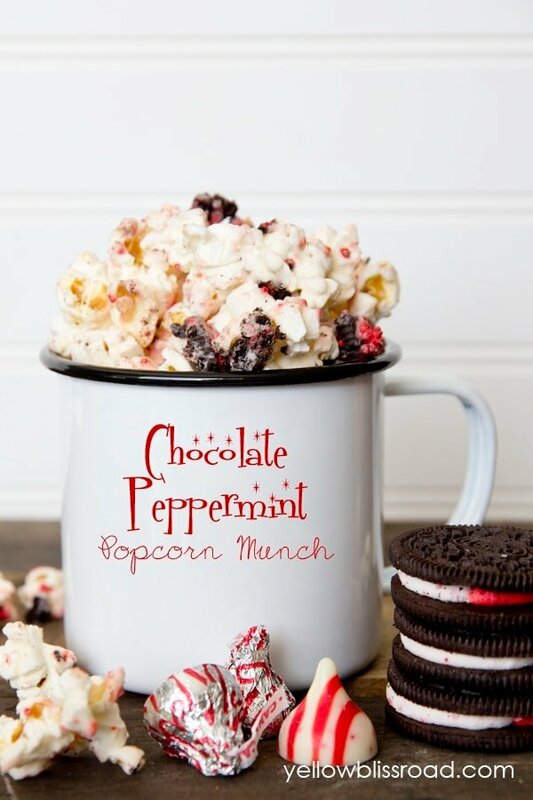 My stomach dr says no mint or very little . 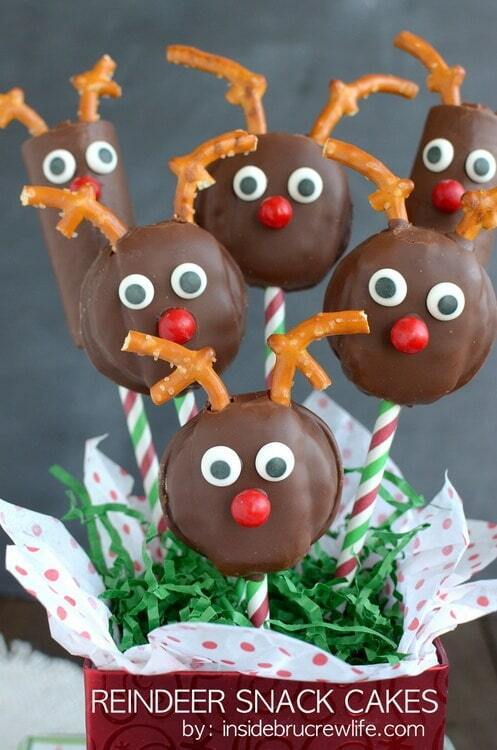 It has something to do with ARD . 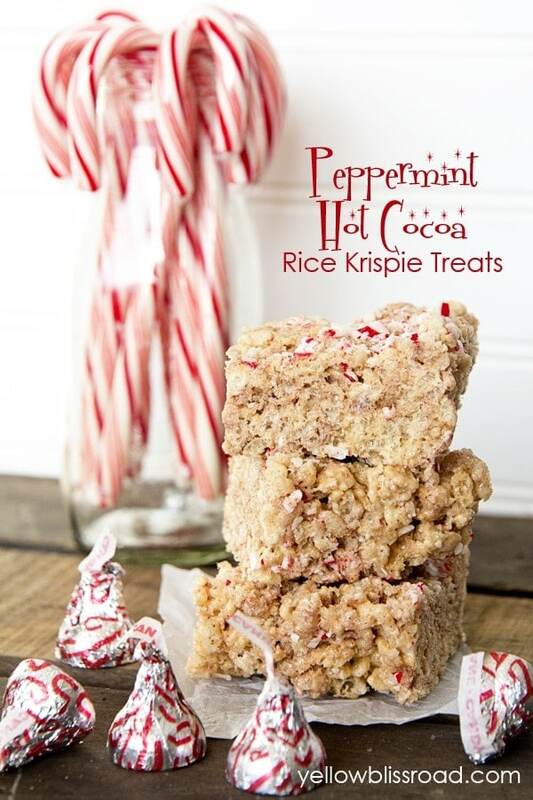 Acid reflux . 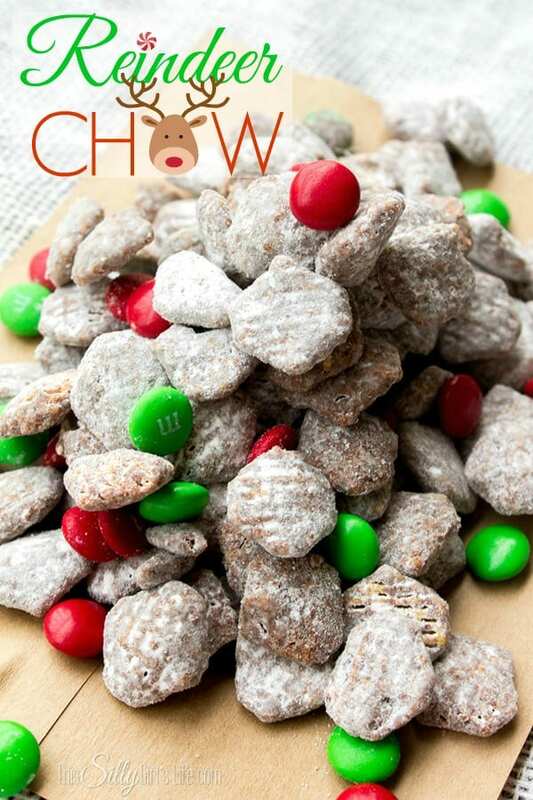 Thanks so much for including my reindeer chow!